Installation view of Clemente's Brant Foundation survey. Photo by Laura Wilson. 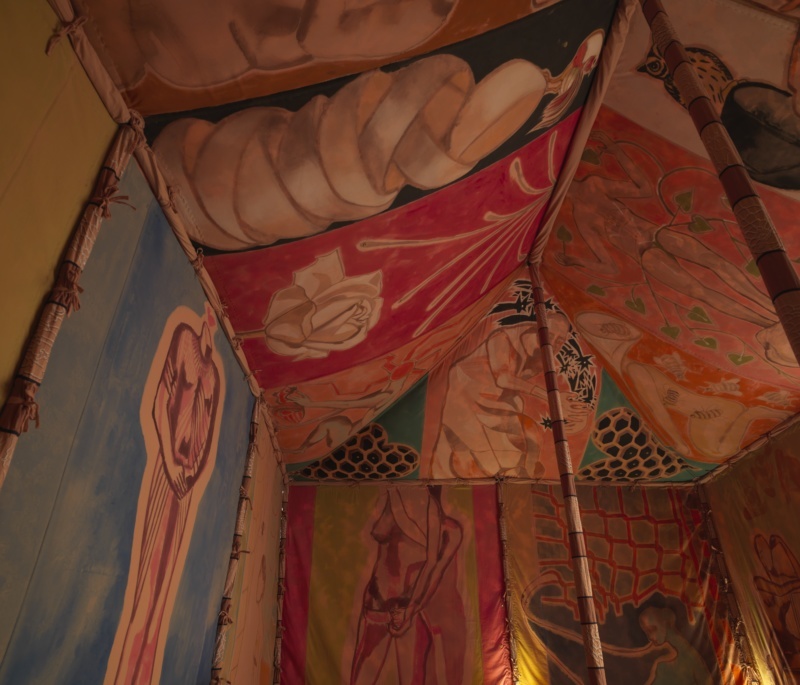 A key member of a group of Downtown artists who revived figurative painting in the ‘80s, Francesco Clemente is known for his boldly romantic and allusive interpretations of corporality, spiritual quests, and subliminal paradoxes. Pursuing an introspective visual lexicon freed from the demands and common subjects of his time, he has amassed a particular body of work in painting, drawing, fresco, and sculpture. On November 11th, The Brant Foundation of Greenwich, Connecticut opened “Works 1978-2018,” an extensive survey of the Italian artist’s 40-year career with works from their collection in addition to institutional and private loans. The expansive checklist covers Clemente’s relationship with New York, Italy and India, projecting an insight to his creative stimuli rather than a chronological retrospective. Over the years, you’ve turned timelessness into your medium with works that resist the demands of their eras. How susceptible are you to time as a person? In some Indian languages the same word stands for ‘yesterday’ and for ‘tomorrow.’ It is inspiring to think of time as something expansive and non-linear. Walking through the exhibition on its opening day, you categorized the works through your autobiography. Where you were and what influenced you at the time determined the work. Could you talk about your associations with different geographies and how you filter them for your work? The ancient traditions believed in ‘genius loci,’ the presiding spirit of a place. If you look at history, you notice how persistent the influence of geography is, how much a place generates the same forms of imagination over years and centuries. Each place is for me a ‘trigger’ for a family of images, a group of paintings to appear. 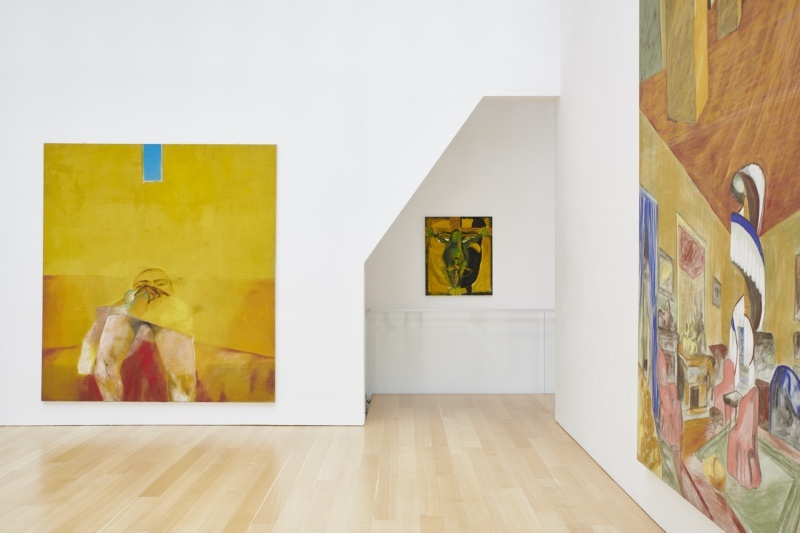 Installation view of Clemente’s Brant Foundation survey. Photo by Laura Wilson. Your depictions of your circle of friends span a few decades. The first work from this series is your self-portrait from 1979. Looking back at these faces, do you make connections between your relationships with your subjects and ways you depicted them? Not at all. I am an impartial witness. Painting is witnessing. What is seen, the act of seeing and the seer merge into one. There is no room for likes and dislikes, the happy and unhappy, or incidents of love and friendship. Name (1983) painting is a very striking work for being surreal, irrational, and subliminal at first sight. Your wild painterly gestures are visible on linen. Could you talk about the story and process behind this work? I plan in advance image, ground, medium and palette. I do not make preparatory drawings. I establish boundaries and then let go completely. Sometimes I get lucky. Name is painted at first with a palette knife then with small brushes, one opens things up and then closes them but not too much. Interior view of Standing with Truth (2013-14). Photo by Christopher Burke. Standing with Truth (2013-14), a colossal tent built with fabric from India, is about being nomadic and one’s effort to carry their home. There is also art inside the tent. Does the work reflect your idea of a home? Yes, it would be amazing to have a home that barely touches the ground and does not violate the land. The tent is also a painting you can live in and I’d rather live inside a painting than on planet earth. Your most recent work had direct references to body and sexuality with abstract subliminal renderings. How has this transition progressed? Painting is an extension of the body. Body is subject and subject matter of painting. But if it is true that ‘as it is above so it is below,’ the body is also an image of larger realities.